This post has been updated with comments from NASA Public Affairs. 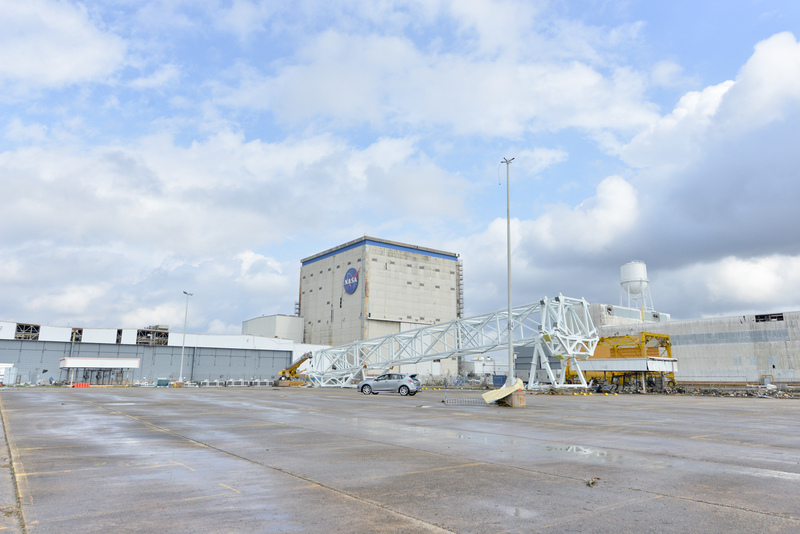 Recovery efforts are now underway after a tornado ripped through NASA’s Michoud Assembly Facility in New Orleans at 11:25 a.m Tuesday. The havoc luckily spared parts relevant to NASA’s biggest projects in development — the Space Launch System (SLS) and the Orion crew capsule, both of which are essential to future plans for Mars missions — but could still stymie other space exploration programs. Several thunderstorms and tornadoes passed through the New Orleans area Tuesday. All employees at Michoud who aren’t involved in emergency operations were evacuated. Five employees faced minor injuries, and the facility is currently closed, as 40 to 50 percent of the buildings at Michoud have faced some kind of damage. Right now emergency personnel are working to restore power to the facility. The Michoud facility has one of the largest production buildings in the U.S. and builds space transportation vehicle projects, including the SLS, which will be the most powerful rocket ever built when it’s complete, and Orion, a spacecraft designed to take astronauts to deep space destinations like Mars. Michoud had also built over 130 tanks for spaceflight and the first stages of NASA’s Saturn V rocket. However, several buildings, including Michoud’s main manufacturing building, experienced roof damage. It’s unclear yet how the effects of the tornado will impact NASA programs and missions in the short term. According to WHNT, dozens of people in the New Orleans area were injured, but most injuries were minor. In addition, about 10,000 customers were left without power. “The entire NASA Family pulls together during good times and bad, and the teams at the Michoud Assembly Facility are working diligently to recover from the severe weather that swept through New Orleans yesterday and damaged the facility,” Acting Administrator Robert M. Lightfoot Jr. said in a statement.